Ona has the ocean as its next neighbour. This provides rich opportunities for those seeking adventure as well as for those who just want peace and quiet. 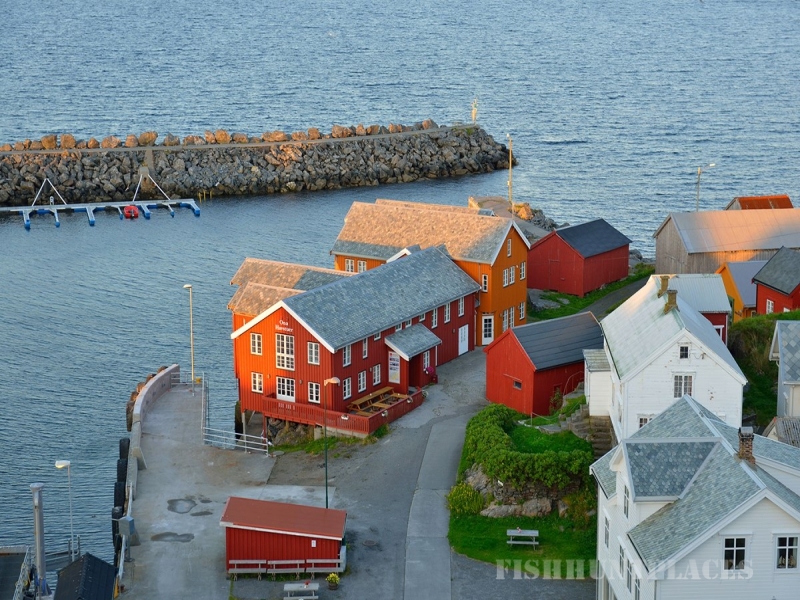 Ona has some 25 inhabitants who mostly sustain themselves on ceramics and fishery. Ona Sea Cottages is an old trading station. It consists of five flats (22 beds) and a dining room / restaurant seating 60 (the Post Office). The place is perfect for working meetings, teambuilding, friends' excursions, and is a unique place for celebrating something. Ona is an experience in storm as well as in quiet weather. The lighthouse and the colourful buildings grasping the ground as best they can characterize the little island far out in the sea. Weather and light change rapidly. 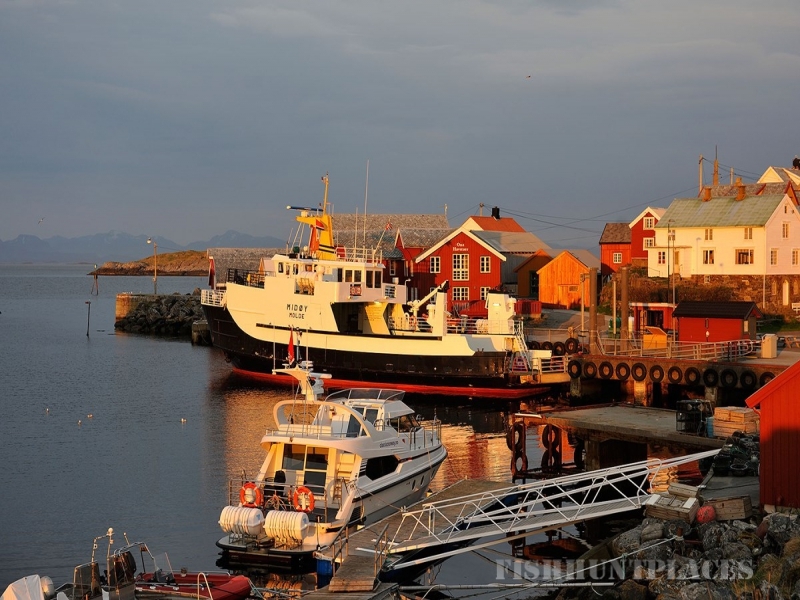 At most, immediately after the Second World War, Ona and Husøya had almost 370 inhabitants. 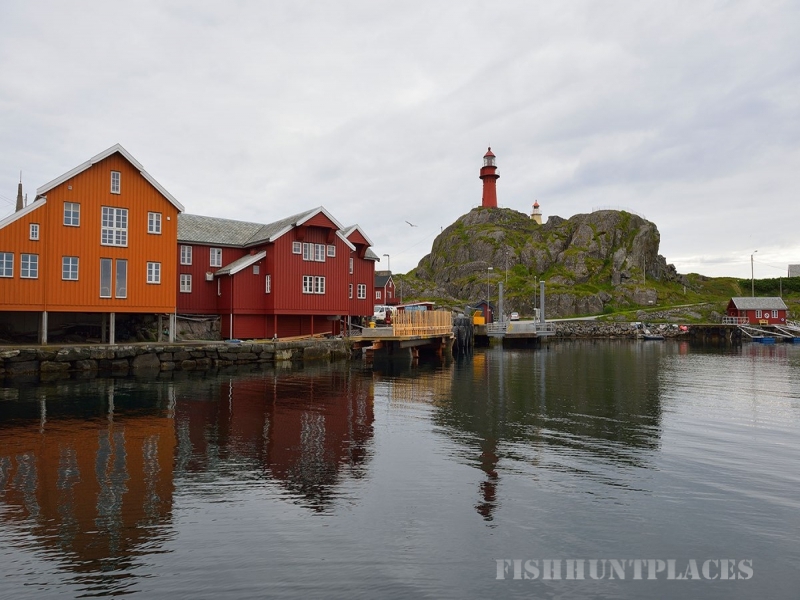 In addition, a number of fishermen from the islands and the mainland stayed in fishermen's houses during the fishing season. 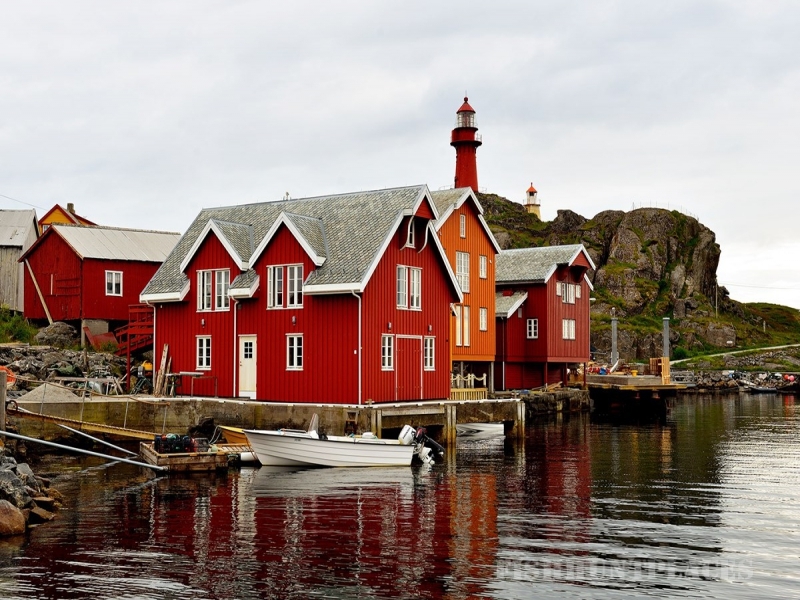 Is located on the island of Ona in Sandøy Municipality, County of Møre and Romsdal. 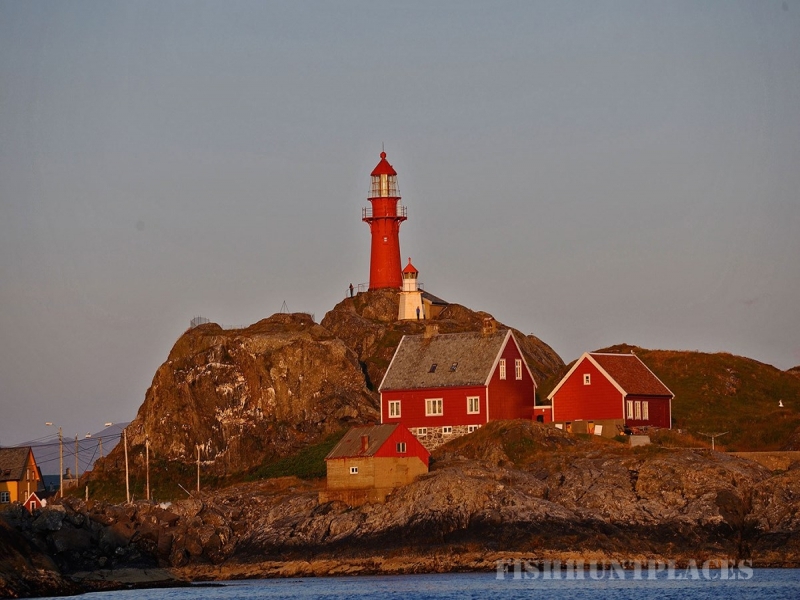 The lighthouse was constructed of cast iron in 1867 and is 14.7 meters tall. The lighthouse stands on Onakalven, the highest point of the island. The light house keeper residence further west on the island has now been sold. It is privately owned and contains i.a. a ceramics workshop. In connection with the light house keeper residence, there was also a light house assistant residence that was dismantled in the 1960-ies. In 1670, a floodwave swept over the island during a storm taking with it most of the houses and many people, but with time the community recovered. In former times, there was also a pilot station with several pilots. A number of pilots have lost their lives during their service. 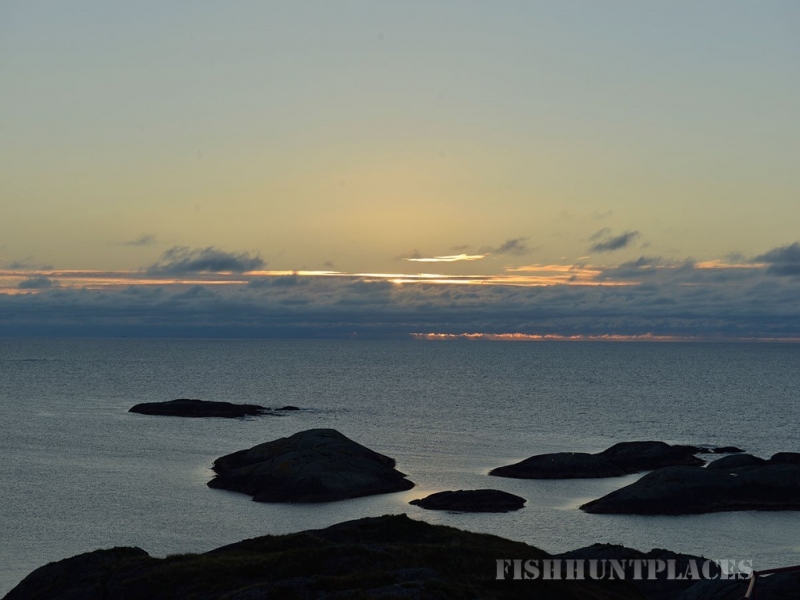 In the 1950-ies and 60-ies there were 3 fish acceptances and 3 shops. Ona has long been known for a rich bird life. From the 1970-ies, many ornithologists have visited the island. 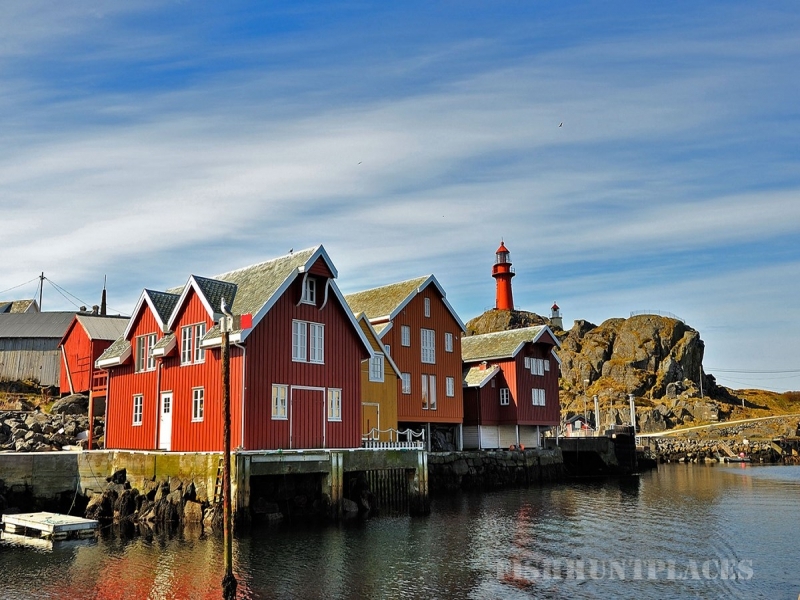 Before 1997, 117 bird species were registered on Ona and Husøya. From 1997, systematic registration has been carried out each autumn, usually at least during the weeks 39 - 40. This has also improved observations and as of September 2008, there have been observed 230 species from Ona. The Autumn of 2009 offered a sensation when a white-crowned sparrow (Zonotrichia leucophrys) stayed on the island late September/ early October. This species is native to America and has only been observed six times in Europe. Recently the island has also become known for ceramics production. 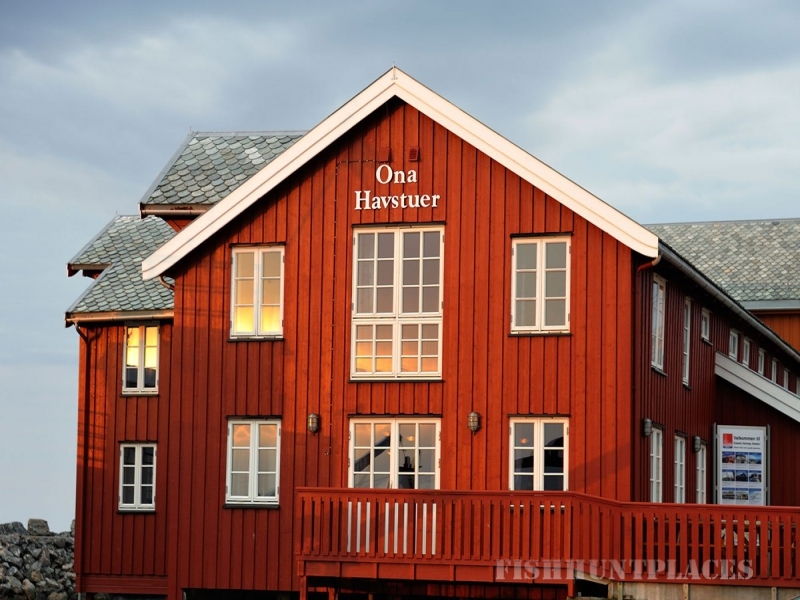 In 2008 Gallery Atelier HF9 settled on Ona (Husøya).